The Alfred Hopkins designed farm group at 'Fairleigh', the George Brewster estate designed by Trowbridge & Livingston c. 1914 in Muttowntown. Click HERE and HERE for more on 'Fairleigh'. 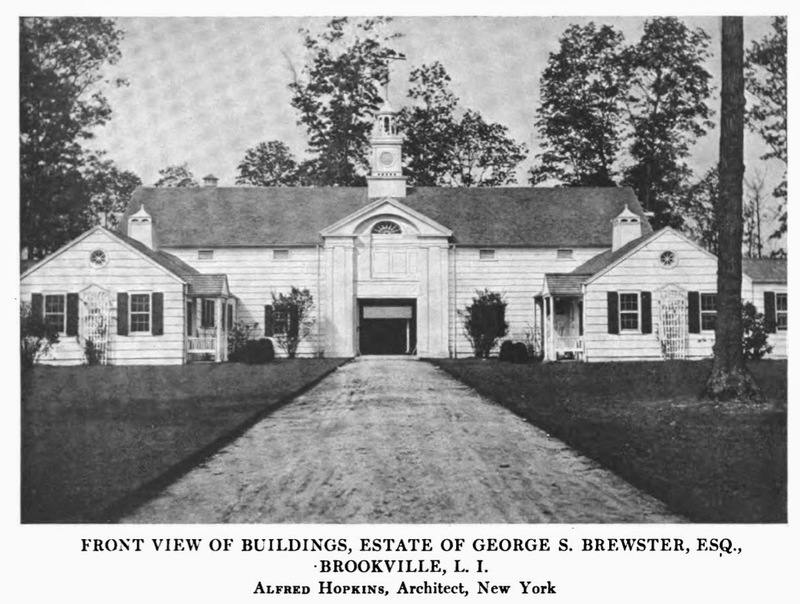 Photo from the Yearbook of the Architectural League of New York, 1916. (east & south of the main house, Bing link on previous posting) although the grounds are not nearly as well maintained.